There is a certain stigma about mental health. And when it come mental health illness in children and adolescents, it often becomes a ‘behind-closed-doors’ conversation. That’s all about to change, however, if a group of university students have their way. Unleash the Noise is a national event that takes place this weekend in Toronto. 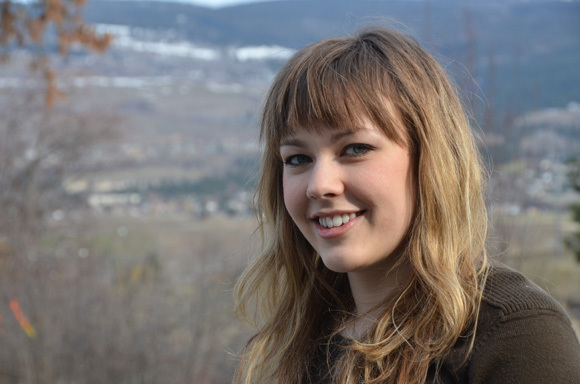 While it aims to raise awareness about mental health issues, the ultimate goal of the weekend is to go well beyond that, explains Lauren Airth, a third-year nursing student at UBC’s Okanagan campus. Airth, from West Kelowna, is one of 200 youth delegates selected to take part in this event. The hope is to come away with plans to create programs to inspire change and discussion about mental-health issues in adolescents. Airth heard about Unleash the Noise through fellow nursing student Jen Windeler. Windeler’s cousin Jack committed suicide when he was 18. Jack’s father Eric produced a video that explains he had no idea his son had a mental illness — the family had only noticed Jack had become withdrawn and quiet. Windeler says that mental illness often strikes before the age of 24 and is the leading cause of non-accidental death in youth. His goal is to reduce the stigma of mental health, especially in young people, and make it a common, dinner-table type of conversation. Airth, who completed a questionnaire and applied to attend the conference, says young people need to be engaged in open discussions about mental health and it’s up to them to share information and inspire people to increase awareness about the illness. “While at the summit I'm hoping to gain some fresh, innovative ideas on how to help high school and post-secondary students achieve mental health. There's so much focus on physical health that people seem to push aside the mental,” she says. All travel costs for the summit are funded by the Jack Project, but Airth has been busy fundraising as she needed to raise a minimum of $100 to donate to the organization to help offset costs. Unleash the Noise takes places at Toronto’s MaRS Discovery District March 15 and 16. The delegates are from 40 universities, colleges, and high schools from across Canada and all are under the age of 24. Airth is excited to attend and is hoping to learn about ways to engage fellow students in interactive and innovative discussions and raise awareness and about mental health in youth.